The question is clear and succinct. The herbbank.org website, which provides information on all types of herbs from all over Việt Nam, is an unlikely brainchild of Phạm Thị Nhàn. With a Master’s degree in biology and work experience in university laboratories as a student, Nhan, now 28, had no idea that she would one day veer away from the academic path she’d chosen. “I had this clear vision in my mind that I would become a researcher,” Nhàn said. The ‘herb bank’ idea was born when Nhàn was attempting to make herbal tea in 2015. She went to all the streets that sell herbal medicine in Hà Nội as well as villages that grow herbs in Ba Vì District and Hưng Yên province, but couldn’t find a single good source for raw herbal material. “There were herbs that had maggots, and some had a very strong, unpleasant smell due to being covered in sulfur,” Nhàn said. “So I started thinking that it would be good to have a place where people can look up the type of herb they want and find the right place to get it,” she said, explaining “right place” meant where good quality herbs were sold. 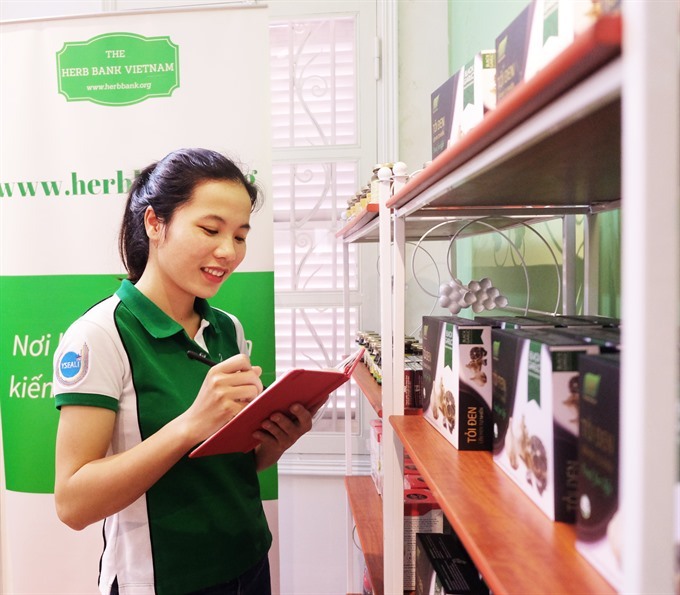 Currently, on herbbank.org, viewers can find pictures, common names, scientific names, descriptions, geographical location and chemical components of more than 150 Vietnamese herbs, as well as their benefits and instructions for use. More detailed information on the herbs is complied in separate articles. Sources and references are listed at the bottom of each article, including names of the compilers and peer reviewers. “That’s what I learnt from the years of doing professional research,” Nhàn said. “When you put your name out there, you have to be responsible for your work. “We only use legitimate sources such as the Encyclopedia of Vietnamese Botany, medical literature and research articles that have been published in scientific journals,” she said. Her efforts are not limited to the website. In June last year, she gave away two hundred packs of Plantago asiatica and two hundred small Excoecaria cochinchinensis plants (commonly known as ‘Chinese croton’) to plant lovers in Hà Nội in an attempt to raise awareness of indigenous herbs and their benefits. “A plant will only go extinct when no one knows about it,” she said. “Instead of growing herbs in conservation areas that no one knows about, we will introduce them to people, encourage them to grow and use herbs in their daily lives – that’s how the herbs will be preserved,” she said. Nguyễn Thị Trang, a resident of Long Biên District, received two Chinese croton plants from Nhàn last year and has been taking care of them ever since. The plants are growing well, sprouting little flowers and fruits, she said. “Nhàn’s purpose of preserving and making indigenous herbs widely known is really admirable,” Trang said. “I majored in conservation biology myself, but it was not until I heard Nhàn talking about her ideas that I saw how my knowledge could be applied to real life,” she added. Taking advantage of her expertise, Nhàn and her colleagues are teaching farmers in some localities to properly grow, store and preserve local herbs. 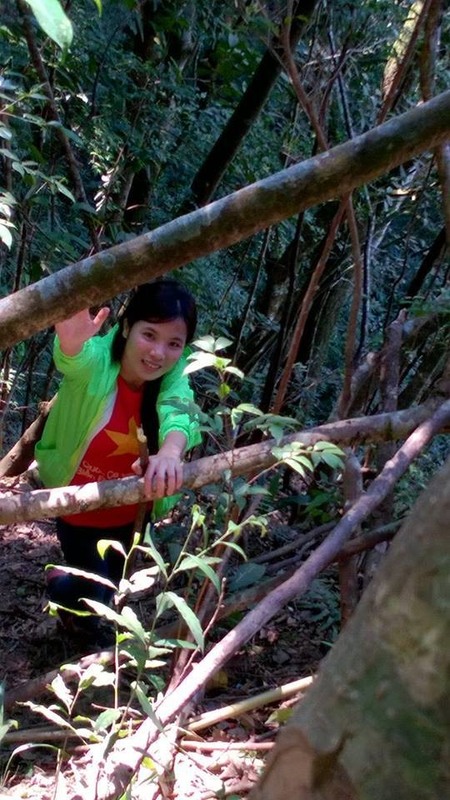 Apart from helping farmers in Tam Đảo, Vĩnh Phúc Province, to produce turmeric starch, she has persuaded a number of farmers in Hưng Yên Province to dry chrysanthemum with electric dryers instead of preserving them with brimstone. “We offer to buy the chrysanthemum at VNĐ450,000 (US$19.7) per kilogram instead of VNĐ420,000 ($18.5), on the condition that they follow our instructions in the process of growing and storing it,” Nhàn said. She also helps farmers bring products to the market as a retailer. Lê Thị Thu Hà, co-founder of a 1,000sq.m organic farm in Đà Lạt City who has been collaborating with Nhàn for 8 months, said that "Nhàn is particularly choosy". 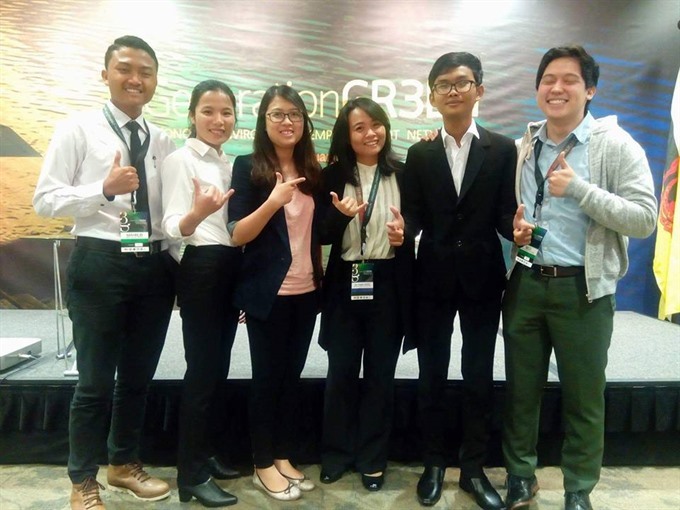 Nhàn’s herb bank took her to a workshop on eco-entrepreneurship within the framework of the Young Southeast Asian Leaders Initiative (YSEALI) in Brunei last month, which was sponsored by the US Embassy in the Southeast Asian kingdom. 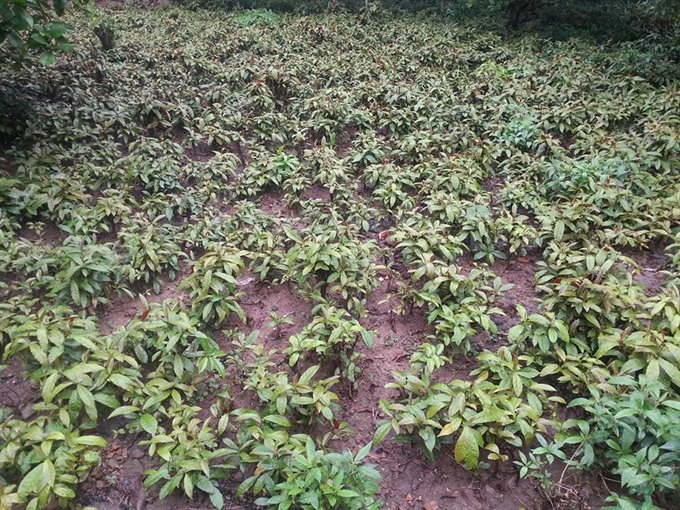 It was here that Nhàn came up with the idea of organising ecotours to visit herbal farms in the ASEAN region. The idea was presented to some 50 workshop participants, including the embassy’s representatives, environmental specialists and eco-tourism enterprise owners from all over Southeast Asia. Nguyễn Khánh Dương, one of Nhàn’s group mates at the workshop, said she felt lucky to be exposed to ideas that are beneficial to the community like ‘herb bank’. “We treasure the YSEALI workshop as an opportunity-rich platform to share and develop eco-business ideas with ASEAN friends,” she said.